On April 23, 2014, I will be the keynote speaker for the 8th annual Faith & Spiritual Affairs Conference put on the Philadelphia Department of Behavioral Health and Intellectual disAbility Services (DBHIDS). The conference theme: Trauma and Healing: Faith Communities Respond. My particular talk is geared to illustrate the necessity of engaging the faith community in trauma recovery efforts. Trauma almost always challenges a person’s faith and when mental health professionals do not pay attention to spiritual matters, treatment will likely stall. I will highlight several faith founded trauma recovery interventions being used today in church settings. The conference is free to all who register. But registrations are limited. Held at the Philadelphia Convention center. The breakout speakers list includes the Director of Place of Refuge, Dr. Elizabeth Hernandez. To register click here. NOTE: enter fsac2014 as the redemption code to get into the conference website. CEs provided for SW and PC. Biblical Seminary, an NBCC approved provider, is the co-sponsor to offer counseling CEs. Other CE providers offering CEs as well. Suffering for Christ? How should we respond to discrimination due to faith? In 1 Peter 2: 12 we are commanded to, “live such good lives among the pagans that, though they accuse you of doing wrong, they may see your good deeds and glorify God on the day he visits us.” Peter goes on to tell us that our good deeds include showing proper respect for everyone. And still later he reminds us to follow the actions of Jesus who did not retaliate when he was insulted and mistreated at the cross. Recently, a friend was mistreated due to her faith. Actually, the mistreatment was based on assumptions rather than facts. The one doing the mistreatment made false allegations about my friend’s beliefs and attitudes. This was in a professional setting where my friend expected to be treated as any other and not singled out like this. Thankfully, the episode was brief. But what if it wasn’t? How should we respond to mistreatment for reasons of faith? 1. Sarcasm and biting back. One of the things that bothers me in the political arena is the amount of sarcasm and belittling used against each other. Not that this behavior is new–it isn’t–but it does seem more intense than before. It would seem that the goal for liberals is to catch conservative family values defenders not living up to their standards. And conservatives put down liberals for being open to anything and everything (except conservatives). When attacked for reasons of faith, let’s not spend our time making public comments about the missteps of our accusers. 2. Say nothing at all. Silence isn’t always wrong but it may not be right either. It can be good to overlook some mistreatment as a mercy to the attacker. Sometimes when we know someone is having a bad day or is themselves a recipient of mistreatment, we may choose to overlook hateful comments. However, saying nothing as a matter of course may also eliminate an opportunity to speak truth in love to the offending party. 1. Deserved or undeserved? First, we can check to see if we have brought an attack on by our own behavior. If we have, we ought to address the matter right away. If the attack is not the result of our own foolish actions, then this is not about us but about God. Hopefully, this little bit of assessment can take the personalized part of the pain out of the equation. 2. Work to understand. Where are these comments coming from? What might be revealed behind the hurtful statements about our attackers experiences? It is possible that their attack comes from a bad experience from another person of faith who did not represent well the true meaning of Christianity. We can then validate their pain even if not their expression of it. 3. Speak the truth in love via a point of contact. Look for the value that you share together. Speak to that issue first. Often, some issue of respect, justice or shared concern can be a point of contact to engage an attacker. MLK wrote a letter from his jail cell in Birmingham, AL to white evangelicals who had written to ask him to stop raising tensions via nonviolent protests. He begins with a point of contact–their shared faith, their genuine good will and sincerity regarding their concerns. He attempts to speak their language first about the necessity of prophetic voices among God’s people. Surely he moves on to accuse them of inaction and maintaining the status quo–thus not caring for all of God’s people. But he ends with invitations to dialogue more and even requests that they forgive him if he has overstated their complicity in the problem of Jim Crow. In professional worlds, we may begin with discussions of shared ethical standards. We may want to point out failures by our accusers to keep their own standards, but first we need to establish common ground. 4. Bless, do not curse. Look for ways to bless and/or encourage an accuser if at all possible. Find reason to offer mercy rather than retaliation. 5. Activate, do not withdraw. In professional settings, use the existing system well so you can to gain a hearing, and not just for yourself. Remember, the Apostle Paul uses his Roman citizenship to seek justice against false accusers and abusers. Using his right to appeal to Caesar enabled him to speak to numerous individuals and groups that he might not otherwise have met. It was this simple act that God used to spread the Gospel to Europe and then to the whole world. Having read chapters by L. Rebecca Propst, Everett Worthington, and Siang-Yang Tan (in Integrating Faith and Psychology, IVP 2010), I am seeing an initial pattern–how important experience of God is in the development and outlook of the person–especially through the trials and tribulations of life. Worthington points to it in his work on the topic of forgiveness (his mother was violently murdered). Propst speaks of integration as the product of her daily struggles and walk with God. Tan points to a burnout experience plus subsequent healing that led to his move toward psychology. As one who reads and sometimes writes about the relationship between faith and psychology (and the fact that we cannot separate these two concepts–faith and psychology are always linked for everyone), I find these stories useful. They remind me that much of our practical integration is seamless and emanates from the gut. It doesn’t mean that we ought not have critical thoughts about our gut or that we ought to supply theory to our practice. But, try as we might to focus on the logic of our work, our integrative work is in the moment affective work I think. Let us be reminded that there is something more important than getting the right view of Christian counseling–that of knowing and being sensitive to the Spirit of God. It is possible, to be right in one’s view of psychology and theology and fail to be sensitive to the Spirit of God. When someone is in this position, they often ask questions about how it happened or what the future will hold. I’ve just run across a sermon by G. Campbell Morgan on the topic (The Westminster Pulpit, v. 1, 1954). The full text can be found here. 1. His take on Deuteronomy as the law of love and containing the treatment of the disease of backsliding. 2. His take on how backsliding happens. What is this process [of backsliding]? Mark three things…. The first is purely personal, perhaps hidden from men, the corruption of the self. The second is the sequel to self-corruption, the making of a graven image. Finally, the overt act of evil. 3. His conception of idolatry. If you seek him with all your heart and soul you will find him….Will he come with flaming and flashing glory? In all probability, no. Will he come with some new sense of his coming, making you thrill in every fiber of your being? In all probability, no. It is far more likely that he will come with a still small voice…. Trample your pride beneath your feet, Crucify your prejudice…. One of the struggles I hear in “backsliding” or relapsing sinners is that they (and me too!) look for Christianity to provide the same stimulus as an addiction. We look for God to give us the high, the excitement, the freedom from pain. He may, but never in the way that an addiction or a sin pattern might provide (in the short run). The struggle I hear is that when God does not supply an equally exciting substitute for the addiction then the person wonders if God is real or if the fight for freedom from addiction is really worth the effort in the end. If you know someone with this struggle, send them the link to the chapter. It may provide a bit of relief. What should Christian counseling look like? 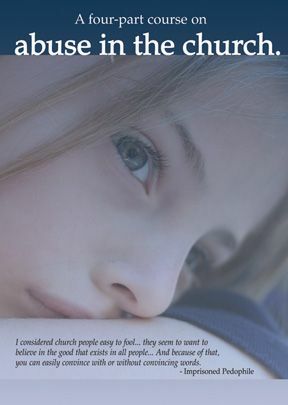 I posted this little item for my last guest blog at www.christianpsych.orgfor the month of July. In it I mention “Christian Counseling: An Introduction” by Malony and Augsburger (2007). And no, I don’t say what it should look like–merely a comment that we still need to figure out how we handle the faith/science dichotomy that we’ve been handed all these years. Those who have been around wisecounsel for a while will remember I blogged through each chapter. If you are interested in seeing those posts, just use the search engine on this page to find posts mentioning Malony.